Over 1,000 exhibitors are expected to draw the participation of 25,000+ industry experts and visitors at the ninth edition of SIAL Middle East and the fourth edition of Abu Dhabi Date Palm Exhibition to be held from tomorrow (December 10) in Abu Dhabi, UAE. 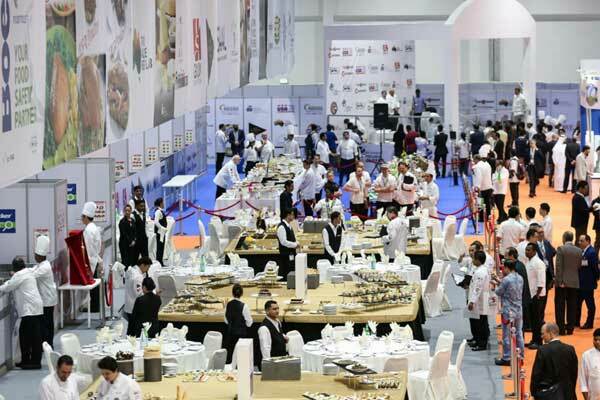 Being held under the patronage of HH Sheikh Mansour bin Zayed Al Nahyan, Deputy Prime Minister, Minister of Presidential Affairs and chairman of Abu Dhabi Food Control Authority (ADFCA), the show will run until December 12, at the Abu Dhabi National Exhibition Centre (Adnec). SIAL Middle East 2018 is taking place at a time when the Middle East and North Africa (Mena) region faces major food security challenges due to climate change, water scarcity, shrinking arable land and continued population growth. In addition to diversifying food supply sources and promoting more sustainable food production and processing solutions, the event aims to encourage major players in this vital field to make further investments in the F&B sector to reduce the gap between supply and demand. This will help address a variety of issues related to food security through strengthening food supply chains in the Middle East. Held in strategic partnership with ADFCA, SIAL Middle East also includes the fourth edition of Abu Dhabi Date Palm Exhibition, a dedicated B2B event for date palm fruit producers and suppliers. Offering tremendous opportunities to network with leading brands in the hospitality sector, the exhibition will serve as an ideal platform for direct sales of hundreds of varieties of dates through country pavilions and exhibition stands. In addition to showcasing the latest food trends and innovations, SIAL Middle East features an extensive business programme that makes it a must-attend event for sharing knowledge and discussing a wide range of topics related to food production and meeting the region’s future nutrition needs. The event will also draw the participation of several government entities and witness the signing of a host of important agreements related to F&B sector.